Driven by strong competition in the telecommunication market, Bharti Airtel has relaunched its ”MyAirtel app”. Reliance jio‘s ahead of the game entry, bring new changes and modifications in this sector. All the telecommunication company in India are trying hard to reach the top of a ladder. Relaunching of MyAirtel app is a step taken in the same direction. 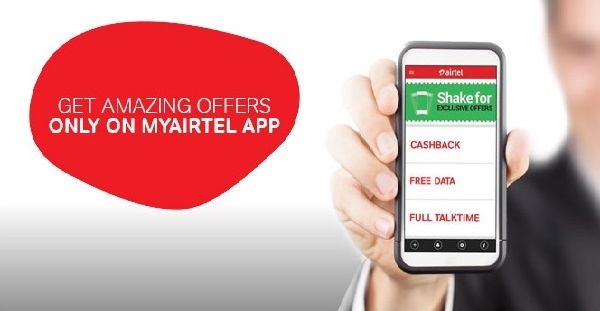 The new version of its MyAirtel mobile application, have the full set of principal and mainline apps. Users can get a combined set of all useful apps hook in a single compound Application. Furthermore, Bharti Airtel has also added a blending one-time 50 minutes of free calls services centrally located in the range of India. The company in conjunction with MyAirtel mobile application has also on Wednesday introduce 2GB of cloud storage space for users.In contributing towards the growth of Digital Airtel Initiative, all new airtel app has all the mind blowing features. Adoption and significant changes in handheld services are the main streams in which company has directed its focus to the total telecom subscriber base. The all new myAirtel app open door for the users to latch onto Ditto TV with free subscription only for Airtel users, Hike Messenger app, Wynk Music, Wynk Movies, Juggernaut, and Airtel Money. There are two new spine-tingling apps from the Airtel stable – Airtel Cloud and Airtel Dialer. Airtel Cloud provides users with a plugin 2GB of free cloud storage and backup. Bharti airtel representative in the mean time of launching this app also informed that it will be the free facility with no data charges for the scheduled backups during the overnight. Currently, only prepaid customers can optimize this facility. Prepaid customers have to wait for a little. Airtel Cloud let users get hands on backup media content at ease. As for the new Airtel Dialer app, along with 50 minutes of free calls within airtel network, users can also get real-time balance information. 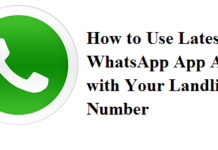 All new dialer feature is a pickup motive of diverting customer for downloading a myAirtel app. Prepaid users that download the application can also get 5GB free night data via myJackpot. An updated myAirtel app is suitable on both Android and iOS. Users just need to either update their apps or download the latest versions from Google Play and the App Store to access the new MyAirtel features. With daily increasing subscriber base, not only the Bharti Airtel but also other competing companies are making a lot of investments and developments in this sector.